In a special event today, Hon. 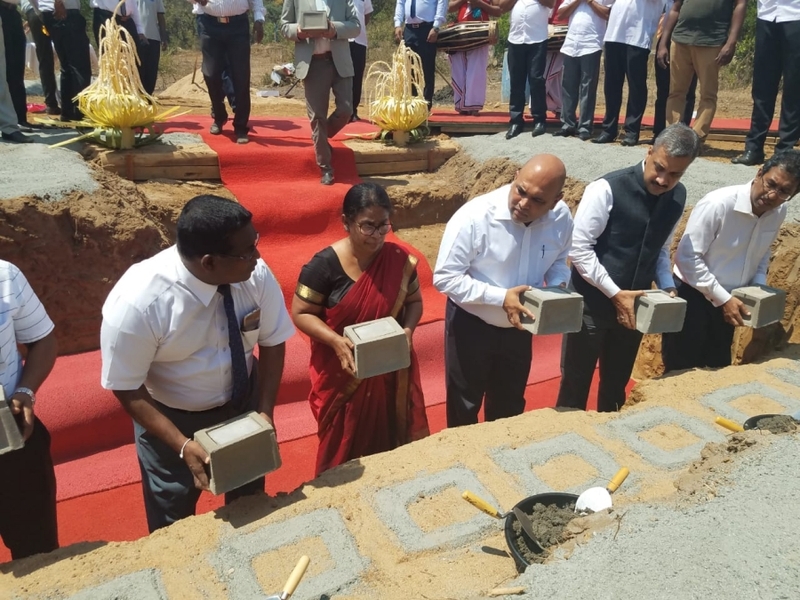 Harsha de Silva, Minister of Economic Reform and Public Distribution along with Deputy High Commissioner of India Dr. Shilpak N. Ambule laid the foundation stone for a new 5000 metric ton Temperature Controlled Cold Storage facility for Perishables in Dambulla. 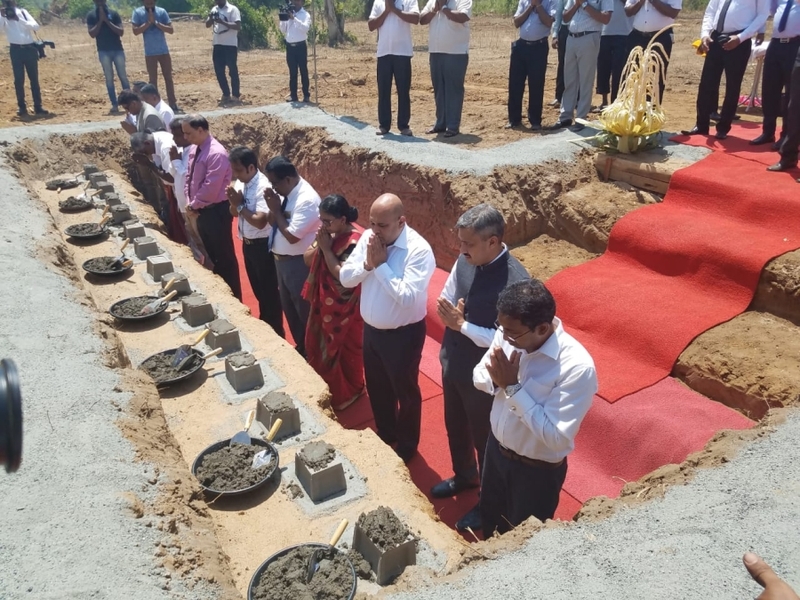 This is a joint project of Governments of India and the Government of Sri Lanka and involves several stages where in the main Cold Storage building and refrigeration chambers will be constructed utilizing a grant of 300 million from the Government of India. This initiative will benefit the farming community by reducing post harvest losses and wastage, particularly in peak season. 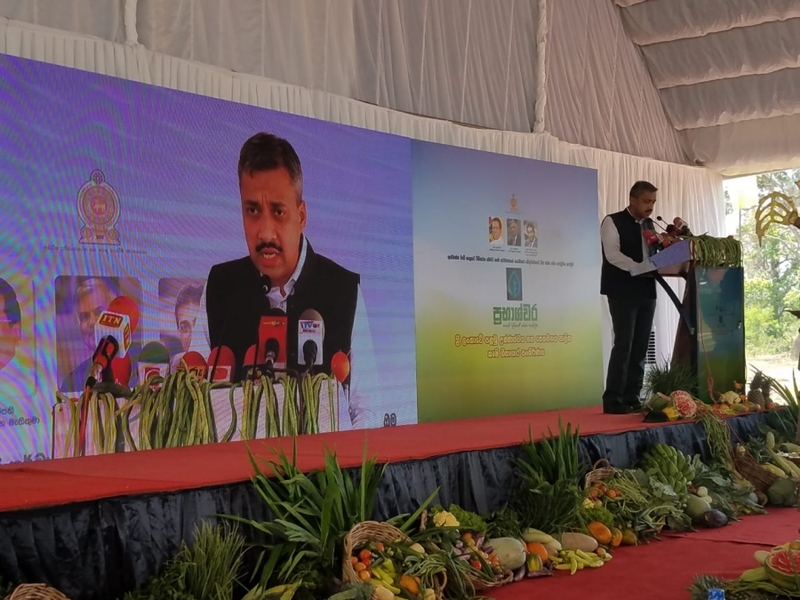 It will also ensure delivery of good quality agro produce to consumers. 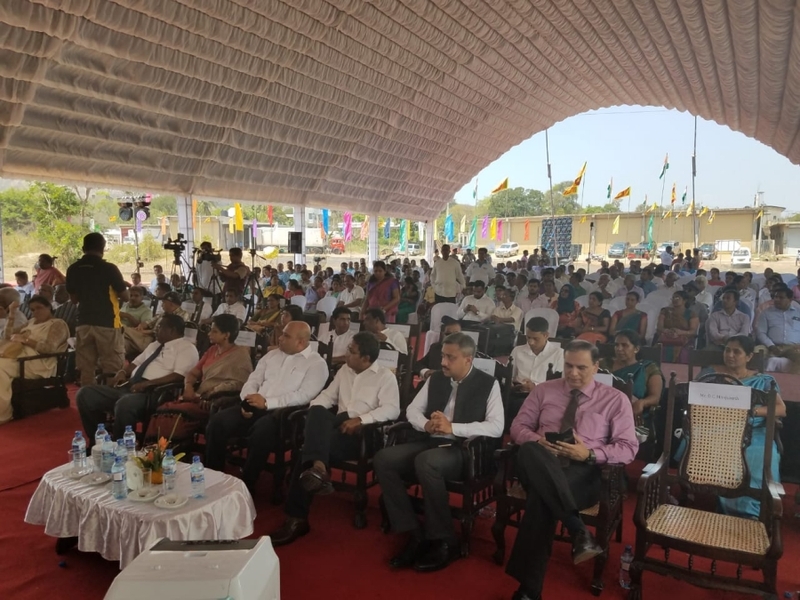 This project is a continuation of Government of India’s efforts to partner with the Government of Sri Lanka in people oriented community development projects. India has undertaken more than 70 such projects in various fields including health, education, housing, skill development, infrastructure, vocational training among others, all across the country. About, 20 such projects are currently under progress. 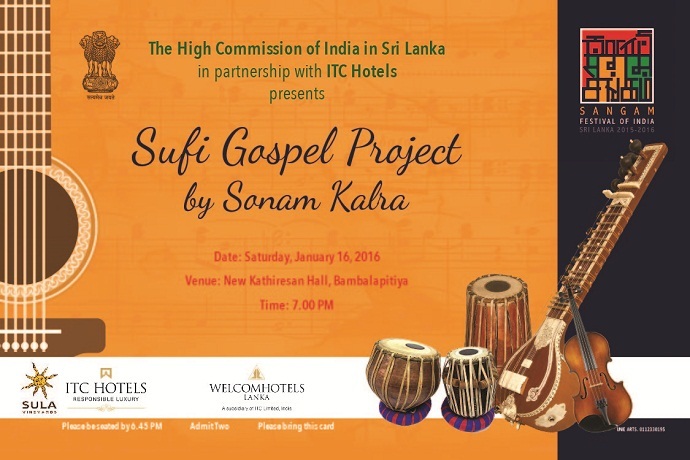 The overall development portfolio of Government of India in Sri Lanka is close to US$ 3 billion out of which US$ 560 million are in grants.